A perfect ballgown for a girls Day of the Dead celebration! Full-length black and white dress with glitter printed organza overlay with attached raised collar. 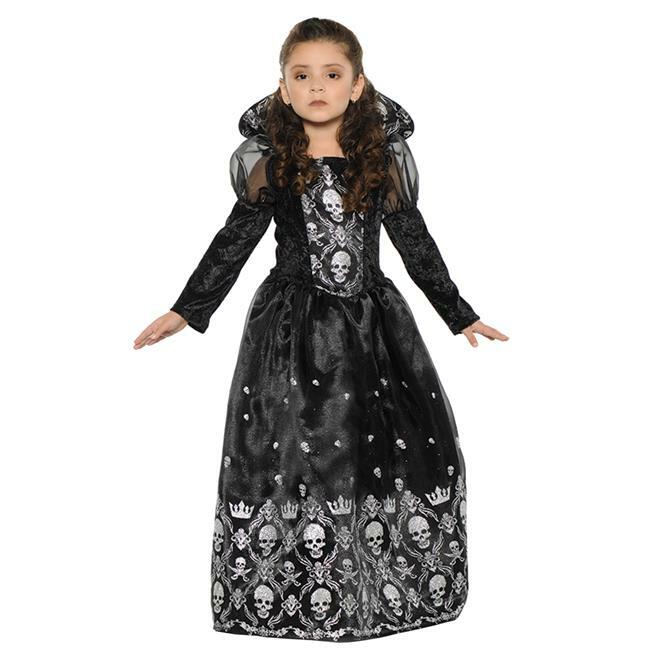 Matching skull print design on inside of raised collar, on bodice insert and on bottom of skirt.